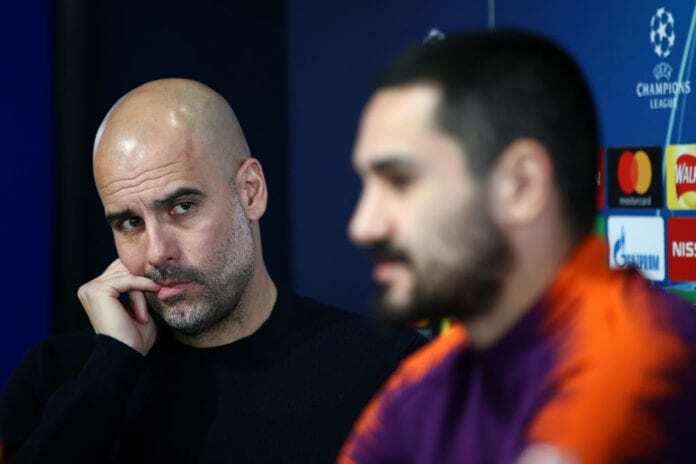 Ilkay Gundogan’s latest comments on Manchester City’s lack of character in their Champions League outings wasn’t entertained by manager Pep Guardiola. The German international claimed the Citizens didn’t show they were brave enough in their 1-0 loss to Spurs on Tuesday night. But Guardiola has hit back and dismissed suggestions City were not brave enough. He said via Daily Star: “I don’t think I agree with him. “There are games when we concede nothing happened – and in the second half, we had it under control. “We didn’t concede much – we didn’t create much either – but we were there many times, nothing happened after we conceded. 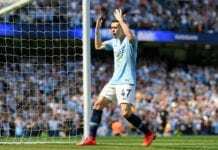 “In Schalke, we conceded two, the game at Spurs was much better, at Schalke we had a goal from Leroy ( Sane), and here we missed the penalty. “We reacted quite well, Sergio (Aguero) was strong and the team was stable. Guardiola’s side will take on Palace away on Sunday needing to win to stay ahead of Liverpool who would host Chelsea at Anfield that same day. But Guardiola fears a slip up after admitting he’s been dreading the game for weeks. Palace won at the Etihad in December and Guardiola added: “That’s true, we knew it weeks ago, how it would be between these important games. “Selhurst Park is always difficult because of the stadium and the quality of the players. “They are well organised and have actions to go one one one, one on three.